Breaking into Imperial command with Ezra disguised as a Scout Trooper, the pair are captured. Not only does Thrawn see through their ruse and correctly surmises Hera's true identity but after taking his small victory he sits back to observe the Rebel's tactics. 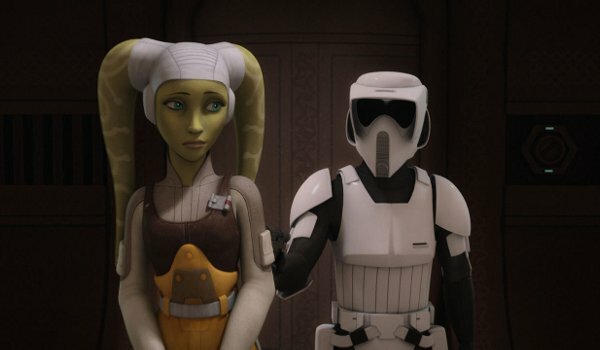 Hera and Ezra may stymie the Empire's immediate plans, but Thrawn picks up valuable information about his enemy which may come back to hurt them later this season.